Give the Gift of Drift!. 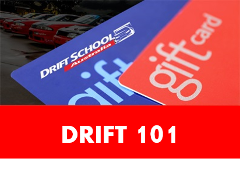 Gift Vouchers can be used to redeem against any of Drift School Australia's products: Thrill Rides, Drift Experience Intro, or Drift Masterclass. Vouchers redeemable from 12 months of purchase. Give the Gift of Drift!. 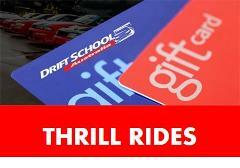 This Gift Voucher can be used to redeem against Drift School Australia's Drift Battle Thrill Rides. From $59. Vouchers redeemable from 12 months of purchase. Give the Gift of Drift!. 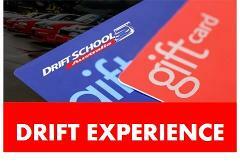 This Gift Vouchers can be used to redeem against Drift School Australia's Drift Experience Intro. From $199. Vouchers redeemable from 12 months of purchase. Give the Gift of Drift!. 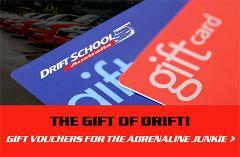 This Gift Vouchers can be used to redeem against Drift School Australia's Drift 101 course. From $449. Vouchers redeemable from 12 months of purchase. Give the Gift of Drift!. This Gift Vouchers can be used to redeem against Drift School Australia's Drift Masterclass. From $849. Vouchers redeemable from 12 months of purchase.